This year’s event was co-sponsored by Antigua and Barbuda, Bulgaria, Ecuador, Germany, Italy, Japan, New Zealand, Republic of Korea, San Marino, the European Union, and the NGO Committee on Ageing. The theme “Transformation towards sustainable and resilient society for all” focused on persons with disabilities as both beneficiaries and agents of change, central to the process of inclusive and sustainable development. The event featured a dance exhibition, musical performances, short film screenings, panel discussions, and side events. The morning began with a dance installation from Heidi Latsky Dance, a New York City-based physically integrated dance company, which featured persons with disabilities. Then, the conference was kicked off with a speech from Dr. Daniela Bas, Director of DSPD/DESA, and woman with a disability. Dr. Bas stressed that dignity has no ability or disability, while people have different skills, needs, and abilities. She welcomed all participants, and honored the commitments of her colleagues to advancing the rights of all persons, and thanked them for their dedication to persons with disabilities worldwide. The second session, Persons with Disabilities as Agents of Change, focused on lessons learned from disability-inclusive disaster risk reduction and humanitarian action for resilient and sustainable societies. Ambassador Luis Gallegos, Former Chair of the Ad Hoc Committee for a Comprehensive and Integral International Convention on the Protection and Promotion of the Rights and Dignity of Persons with Disabilities from 2002-2005, moderated the panel. Ms. Margaret Arnold, Senior Social Development Specialist of the Social, Urban, Rural and Resilience Evaluation Group at the World Bank, explained how disasters disproportionately impact those already excluded from society, particularly persons with disabilities. She discussed the importance of identifying and empowering these communities and announced an upcoming report on best practices in financial and technical assistance for inclusion in post-disaster planning and development. Next, Mr. Gopal Mitra, Program Specialist for Children with Disabilities from UNICEF, called for the urgent need to involve children with disabilities in disaster planning. He stressed the importance of data to identify underserved children and to better prepare for the risks of natural disasters and forced displacement on children with disabilities. Mr. Hiroshi Kawamura, Board Member and Former President of the DAISY Consortium, insisted that pre-disaster warnings and evacuation policies must be accessible and inclusive in order to protect persons with disabilities. Next, Mr. Satoshi IIyama, Co-Founder of the University of Tokyo Empower Project, discussed his initiative’s efforts to recognize truly inclusive cultures which support persons with intellectual disabilities as successful change agents. Ms. Boram Lee, Disability Advisor at the Women’s Refugee Commission, discussed her organization’s efforts to recognize not only the needs but the contributions of women with disabilities in crisis through national workshops and leadership campaigns. Finally, Dr. Victor Pineda, President of GAATES and World Enabled, joined virtually to highlight the importance of using disaggregated disability data from the Washington Group, and smart technologies for inclusive and resilient development. Before the afternoon panels, event participants were able to attend side events hosted by multiple stakeholders. The Institute on Disability and Public Policy at American University co-organized an event with UN DESA entitled, “Big Data Analytics and Text Mining: monitoring and evaluating disability and development for SDG and CRPD implementation.” The event featured presentations by Dr. Maria Martinho from UN DESA, Dr. Derrick Cogburn from IDPP, Dr. Chiara Barbagianni from the University of Genoa, Mr. Jason DaSilva from AXS Map, and Mr. Holger Dieterich from Accessibility Cloud. Speakers discussed innovative ways data can be used to inform disability policy making and inclusive development, including mining for disability content in reports and tweets, and crowd-sourcing data to map accessibility of public spaces. The International Society of Physical and Rehabilitation Medicine (ISPRM) and the International Council for Caring Communities (ICCC), organized a second side event entitled, Sustainable Development in Health through Innovative Technologies. The event highlighted the application of innovative medical technologies, and means to facilitate accessibility to technologies to minimize barriers for participation of persons with disabilities in a global society. Presentations focused on the use of regenerative medicine to treat osteoarthritis, remote virtual therapy to treat paralysis in persons with stroke, the application of 3D printing to enhance access for orthotics and prosthetics, and the facilitation of access to technologies by means of entrepreneurship and government participation. The final session of the day featured two panel discussions on Building Future Societies for All. Ambassador Joanne Adamson, Deputy Head of the European Union Delegation, first mentioned that the EU is working towards the adoption of an Accessibility Act which would place emphasis on a silver economy, age friendly tourism, rights of the elderly to participate, and anti-discrimination policies. Next, Ambassador Georgi Velikov Panayotov of Bulgaria, brought attention to the tourism industry as an important source for growth that must be considerate of ageing populations. Ambassador Damian Beleffi discussed the successes in accessible tourism in San Marino and mentioned UNESCO World Heritages efforts to combine accessibility and tourism. Finally, Mr. Kari Rahman, Deputy Special Representative from the UN World Tourism Organization NY Liason Office deemed accessible tourism a human right and discussed his organization’s efforts to standardize the industry. The first panel discussion focused on intersectional inclusion of persons with disabilities. Ambassador Ms. Helena Yanez Loza from Ecuador discussed the importance of inclusive participatory processes in state constitutions. Mr. Victor Calise, Commissioner of the NYC Mayor’s Office for People with Disabilities, stressed that governments must be held accountable for making cities accessible, particularly in terms of providing information and resources to persons with disabilities. Mr. John Farmer, Director of Microsoft Cities, discusses how artificial intelligence can be used to build inclusive smart cities and called for a more diverse and accessible workforce. Ms. Lauren Gula, Senior Manager of Social Responsibility and Gender Equality at UN Global Compact, discussed their partnership with UN Women and UNHCR which works to facilitate job access for women refugees including persons with disabilities. Mr. Srin Madipalli, Accessibility Program and Product Manager at AirBnB highlighted the persons with disabilities who helped launch his company on social media, calling for greater inclusion in business processes and suggesting accessible technology alone is not sufficient. Finally, Mr. Rick Chavolla from the American Indian Community House, discussed his work with the indigenous population in NYC, stressing the importance of knowledge and information for persons without voting power. The final panel of the day focused on an accessible and inclusive hospitality and tourism industry. Ambassador Mr. Walton Alfonso Webson of Antigua and Barbuda, and former director of Focus International, brought up the economic capacity of older persons and persons with disabilities which must be taken into account for tourism. Mr. Bryan Grimaldi of NYC & Company, discussed the growth and development of an inclusive tourism industry in New York. Ms. Daniella Foster, Senior Director of Global Corporate Responsibility at Hilton Worldwide, discussed the hotel chains commitment to inclusive operations, facilities, resources, and partnerships as well as their effort to invest in and employ members of vulnerable populations, especially persons with disabilities. Mr. Clark Stevens, Director of Government Affairs and Strategic Partnerships at AirBnB, discussed the organizations partnerships with local organizations worldwide to provide workshops and trainings in hospitality and app development. He also mentioned that AirBnB is working to have more persons with disabilities as hosts on their platform. Ms. Tui Shortland, Co-Founder of Native XP, announced their new initiative which is focused on indigenous tourism to encourage cross cultural understanding, and discussed how persons with disabilities play a role. Finally, Ms. Lynn Minnaert, Academic Chair of the Jonathan M. Tisch Center for Hospitality and Tourism at NYU, encouraged partnerships between businesses and academia, highlighting the importance of research in understanding local communities. She concluded her presentation stressing that a visitor looking for an accessible experience is a loyal customer, and essential to the travel and tourism industry. 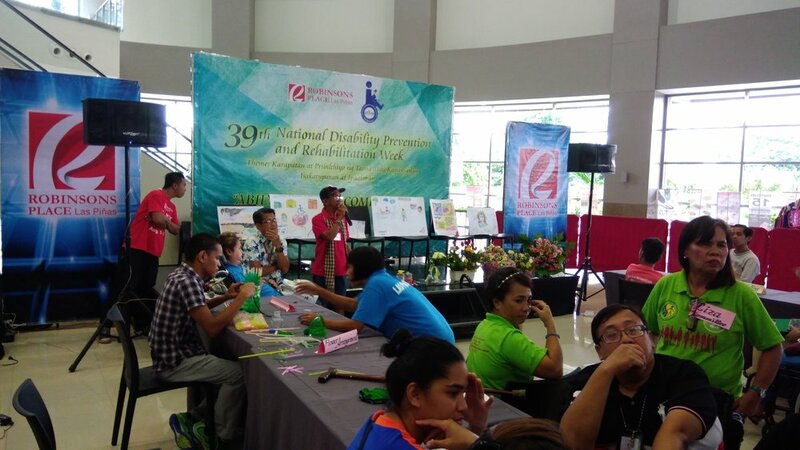 The International Day of Persons with Disabilities featured incredible and meaningful presentations by multiple stakeholders working at the cross section of disability rights and other fields. Participants of the event left feeling inspired and hopeful for an increasingly inclusive world.